First we live. Then we die. And then...we get another try? Ten thousand tries, to be exact. Ten thousand lives to "get it right". Answer all the big questions. Achieve wisdom. And become one with everything. Milo has had 9,995 chances so far and has just five more lives to earn a place in the cosmic soul. If he doesn't make the cut, oblivion awaits. But all Milo really wants is to fall forever into the arms of Death. Or Suzie, as he calls her. Everyone else knows the truth about you. Now you can know it, too. A small stream of city dwellers buy into this cult of the epiphany machine, including Venter Lowood's parents. 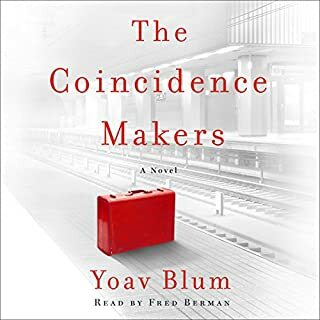 This stigma follows them when they move upstate, where Venter can't avoid the whispers of teachers and neighbors any more than he can ignore the machine's accurate predictions: his mother's abandonment and his father's disinterest. So when Venter's grandmother finally asks him to confront the epiphany machine and inoculate himself against his family's mistakes, he's only too happy to oblige. Like his parents before him, Venter is quick to fall under the spell of the device's sweat-stained, profane, and surprisingly charming operator, Adam Lyons. But unlike them, Venter gets close enough to Adam to learn a dark secret. There's an undeniable pattern between specific epiphanies and violent crimes. And Adam won't jeopardize the privacy of his customers by alerting the police. It may be a hoax, but that doesn't mean what Adam is selling isn't also spot-on. And in this sprawling, snarling tragicomedy about accountability in contemporary America, the greater danger is that Adam Lyons' apparatus may just be right about us all. Enlightenment comes to the most dull-witted. Words are like weapons: they wound sometimes. From epigraphs to The Epiphany Machine. 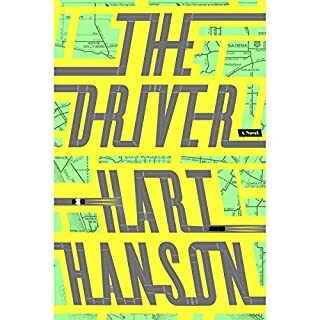 My first thought is actually a question considering that this novel is great and somewhat similar to, and likely even better than, 2016's The Nix. Mr. Gerrard, who teaches creative writing in NYC at the 92nd Street Y, The New School, and the Sackett Street Writers' Workshop, hits our contemporary culture right between the eyes, as did Nathan Hill in The Nix. So, my question: is Random House--whose imprint published The Nix--that much better at pushing their books than Penguin's imprint for The Epiphany Machine? Where is the Love? I should probably say here that no one pitched this novel to me, or gave me a free copy of it; I bought it after reading a few rave reviews. Perhaps the initial hesitation of reviewers and readers alike to pick up this literary gem comes from the sci-fi element in it. The plot surrounds a contraption discovered by its owner in the 1960s that will tattoo your epiphany on your inner forearm, a sort of modern-day oracle in a way, whose customer list has included John Lennon and a number of other luminaries. Set in NYC, mainly from the late 1990s to the present, the sales pitch for the machine in its early years was *Everyone else knows the truth about you, now you can know it, too. * The idea, in theory, is that *once you know your biggest secret, you can accept it* and consider it as a revelation of self to help you go through life, or something like that. For example, the epiphany of the protagonist Venter Lowood, both of whose parents were among the earliest recipients of epiphany tattoos, is *dependent on the opinion of others. * Epiphanies can be much more vague though, such as that on Venter's best friend, *Likes to blow things up,* who, as a budding playwright, the friend took to mean blowing up his mother's expectations of him becoming a physician and of him marrying a girl of his own faith. Mr. Gerrard makes this centerpiece work as a believable machine that people want to use and creates a credible growing importance of the machine in contemporary culture, much as he makes the characters seem real and true. In any case, the sci-fi element should be a reason for even more chatter rather than a cause for pause. 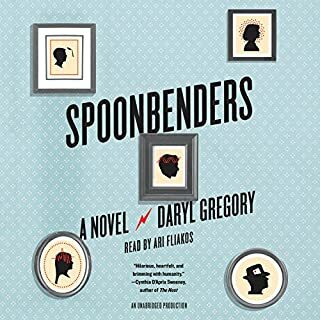 Consider that quality sci-fi/lit genre-benders come along only every so often and the good ones have actually rocked the world: See, e.g., Brave New World, 1984, Frankenstein, The Handmaid's Tale, the works of Franz Kafka, Slaughterhouse-Five, Fahrenheit 451 and The Road, and resulted in literary acclaim and/or moderate commercial successes of late such as Life After Life, The Plot Against America, Cloud Atlas, Never Let Me Go, Murakami's novels and The Time Traveler's Wife. 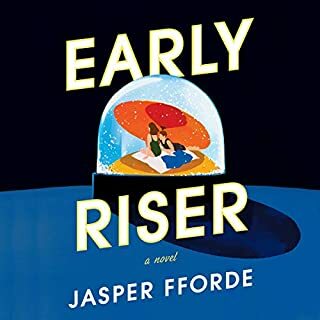 This fascinating and brilliantly inventive bildungsroman moves quickly and keeps up the interest with well-developed characters and strong, morally intricate storylines. The novel touches upon issues of accountability, truth, destiny, privacy, responsibility, our inability to see what is obvious to everyone but ourselves, and our susceptibility to our ancient enemy in our self-rationalization of morally wrong actions. It is full of allusions and similarities in tone to Joyce, Kafka and Wm. Burroughs, as well as smart nods to literature and writing. My one complaint--that the transition into the post-9/11 abuses didn't seem to quite fit--is far outweighed by the book's poignancy, its intriguing characters, its crystalline critiques of contemporary American culture, and the fun of reading it. I highly recommend this one, which some are saying may end up a Cult Classic. 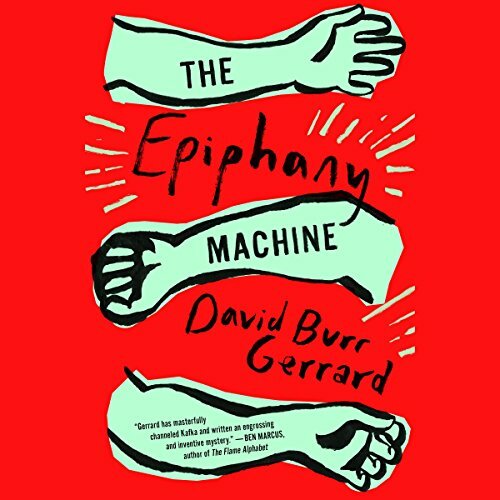 Would you consider the audio edition of The Epiphany Machine to be better than the print version? I have not read the print version, but I would guess that the audio edition is better since Ari Fliakos narrates this book. Adam Lyons because his character adds the right amount of comedy to this book. What about Ari Fliakos’s performance did you like? This is my fourth audiobook by Ari. He is the best narrator I've heard on Audible. I probably would not have downloaded this title unless I'd seen that Ari narratied it. I'm glad I did. The story was great. Who was the most memorable character of The Epiphany Machine and why? Adam Lyons was the most memorable because he owns the mysterious Epiphany Machine. 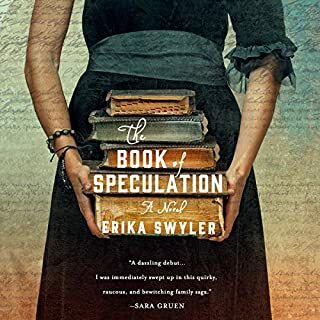 For anyone who loves a great story that is paired with great narration, this is a title for you. The Epiphany Machine is well-written, clever, and interesting. 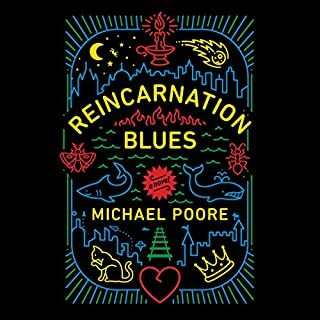 It's early in 2018, but, for me, this is the best audiobook so far. Stay tuned. In a book where I hate the main character so much, probably because he is as almost exactly like me, I love the book. Hope nobody reads any of these reviews before reading it. I am glad I just bought it and listened on just the strength of the sample. Since I share the same major flaw as the main character I am sure it would have been spoiled by other people's opinions. An eloquent, multi-layered, and chilling story about the wonders and horrors of technology on American culture and politics. Stellar performance by the narrator. Highly recommended! What made the experience of listening to The Epiphany Machine the most enjoyable? My wife and I decided to experiment and listen to The Epiphany Machine together. As luck would have it, the book is fabulous. We couldn't stop listening and got through half the book the first day. The Epiphany Machine is a unique and inventive book that should not be missed. It is mysterious and humorous. Yes, it is also thought provoking, which is always a good thing. Highly recommended. Wonderful story and exceptional narration. This is a wonderful story! So smart and thought provoking. The narration is exceptional. I didn't realize how much the narration can effect the enjoyment of a story until i listened to this! Do we live up to or into what is in our arm/soul. The Epiphany Machine looks often painful at how one defines or lives there lifes. The machine at no cost$ inks a phase that can wreak or in hance your life. The book weave in stories from the machine along with the sad,/depressed life of the narrator. Who's tattoo "Dependent on the opinions of others" lives into the that phase. His life is flat and the narrator Fliakos reads it that way which fits. The book in takes a turn in later chapter to a dystopian future where big business takes over the machine. I becomes a money making venture. Everyone feels compelled or coherenced to get a tatt. The book feels rushed at the end to wrap things up. it was written in such a way that one feels it must be a true story. If you could sum up The Epiphany Machine in three words, what would they be? I wouldn't have, its an interesting exploration of a story full of people you wouldn't want to know. Probably Adam, he was very believable sounding as the machine's resident caretaker. The Epiphany Machine's main character is so flawed and unlikeable that I found I had to finish. Not because I was hopeful for some type of redemption, that went out the window, but because I was so impressed that you could write a compelling novel without any meaningful characters that I identified with. It's not a book I would recommend to anyone, but it is definitely one worth recommending to anyone interested in human nature and something different. the main character is a little too whiny and self-absorbed, like most of us.